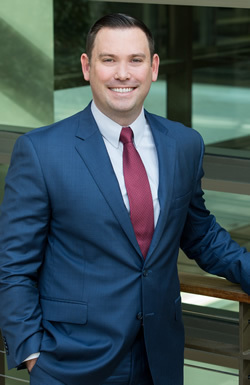 Jon Kendrick’s practice focuses on commercial real estate transactions, including commercial leasing and purchases and sales with a special focus on providing real estate counsel to healthcare providers and developers. Jon also advises and represents clients in matters related to California’s Proposition 65 warning requirements. Jon was previously with Locke Lord LLP where he advised clients in real estate, business and environmental matters, including representing clients before administrative agencies such as the California Energy Commission and the California Environmental Protection Agency. Jon received his B.A in International Political Economy from University of Puget Sound in Tacoma, Washington. He was awarded his J.D. from the University of California, Davis School of Law, where he was a senior article editor for Environs and the fundraising chair for the Humanitarian Aid Legal Organization. Assist in the representation of healthcare providers on both the tenant and landlord sides of medical office space leasing. Regularly draft, review, and revise healthcare facility lease terms for Stark Law and Anti-Kickback Statute compliance. Represented clients in rulemaking proceedings and enforcement actions related to California’s Safe Drinking Water and Toxic Enforcement Act (Proposition 65). Advised renewable energy generator on the drafting, interpretation, and revision of contract terms related to existing and proposed Power Purchase Agreements. Advised and represented an independent power producer in the permitting process to construct several combined cycle power plants in California.